Community Rights Lane County - Who Decides? Our Communities or Big Corporations? Congratulations to our volunteer award recipient – Barbara Bochnovich! "Who Decides? Our Communities or Big Corporations?" Community Rights Lane County educates and mobilizes citizens about our rights to local community self-governance. We believe decisions affecting communities must be made by community residents – the people directly impacted by these decisions and laws that authorize harmful corporate activities. 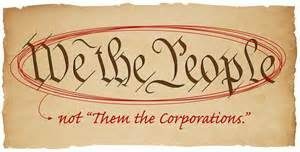 We believe corporate structures should not have privileges that elevate corporate interests above those of the local community. 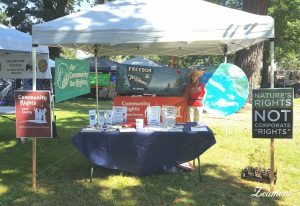 Learn how others in Oregon are using community rights-based lawmaking to end corporate harms in their communities. Stay up to date on the latest campaigns! Despite our court ruling, we still hold a bill. Democracy is a work in progress – and we’re leading the way! You can help by Contributing! Check out our Events page for dates, times and locations! May 1st – May Day Celebration – park blocks. Be the Change - Join the Action! Please join us for our monthly Community Rights Action, our general meeting of community rights supporters in Lane County. These gatherings advance our work challenging corporate practices that threaten our health, environment and economy. Join us in learning about Community Rights and the latest developments in local, state, and national Community Rights efforts. Each month’s agenda is different, and we feature speakers, videos, and engaging group activities. We discuss and help shape the local lawmaking that we are developing to protect the well-being of our community. And we have opportunities for everyone to participate in and advance our work. And we have fun! Please join us! 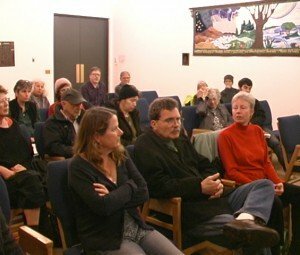 Community Rights in Salem – You Can Help! Find out who your legislators are here. Please track any conversations you have with legislators here (or tell me about them via email or phone). Community Rights Lane County, Our Community Our Rights and Freedom from Aerial Herbicides Alliance have been very lucky to co-host three amazing women. If you weren't able to see them in person, we now have video of all three. Follow the links below and enjoy a wealth of knowledge related to the Rights of Nature!